We are a husband and wife team of Gundam fanatics. For years we let our Gunpla kits gather dust, saying we’d build them when we were good enough to do them justice. But then we realized, there’s nothing fun in that! We want to give you the confidence to start building and enjoying your Gunpla right now. There’s no one “correct” way to build Gunpla. Let our tips, tricks, and techniques guide you, but don’t make them your bible. 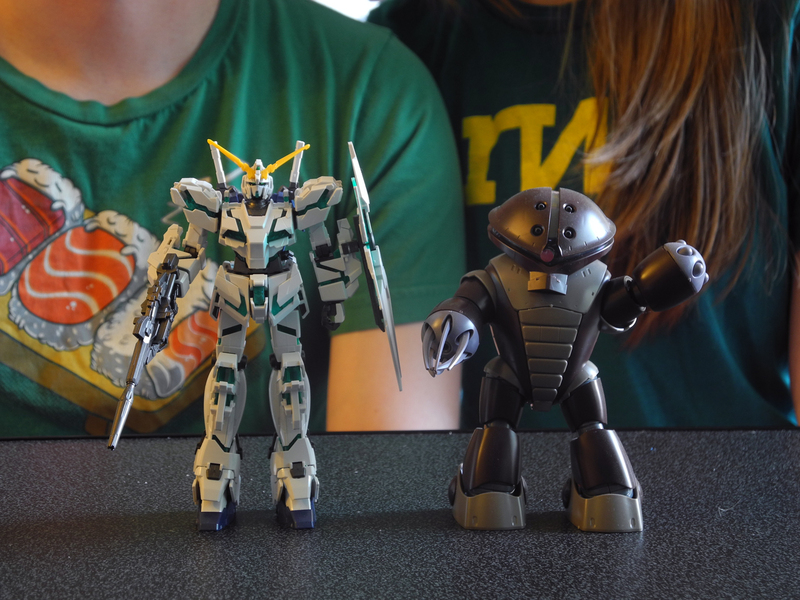 We want to encourage you to build Gunpla in the way that makes you feel good. If you’re proud of your Gunpla, you’re doing it right. Keep in touch! Follow us @Gunpla101 or visit our Facebook page. Note: Bandai owns the license to the Gundam franchise and all subsequent Gundam designs.